A collision involving three vehicles on the A29 near Slindon and Madehurst is causing delays in both directions. 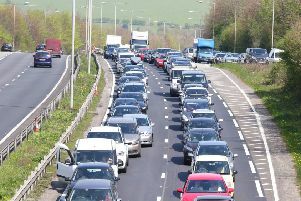 According to police, emergency services were called to the collision on Fairmile Bottom at 10.05am (Thursday, May 17). The road was blocked at Whiteways and at the Spur on the A29 and two drivers suffered minor injuries, a Sussex Police spokesman said.